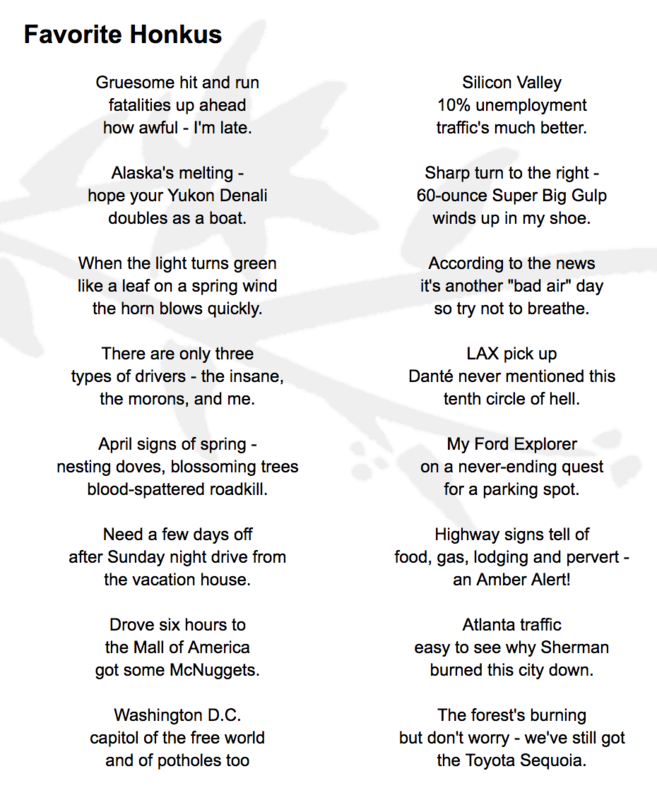 Aaron Naparstek finds an unexpected community through street traffic and poetry. 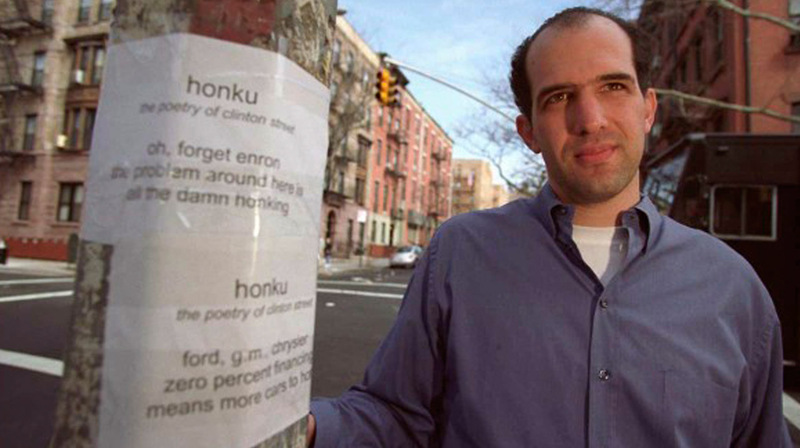 Aaron next to more Honkus, and "more cars to honk." 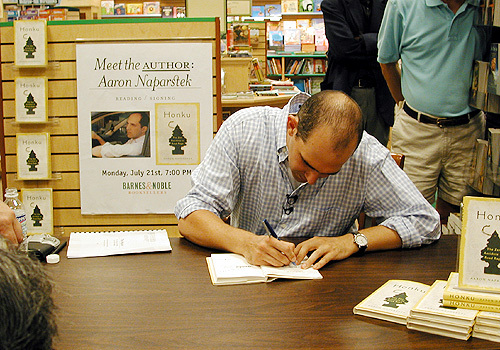 Aaron at a book signing. 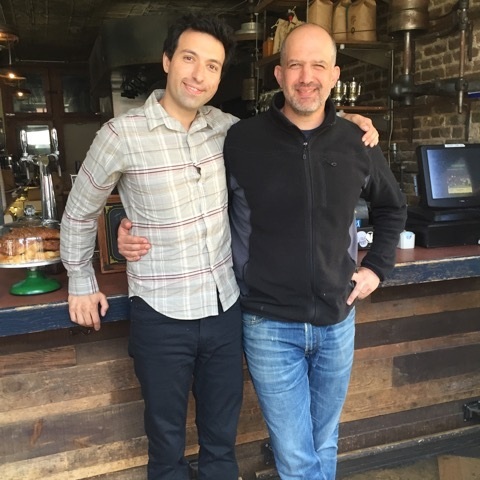 Aaron with actor Alex Karpovsky, who plays the character Ray Ploshanksy, on the set of Girls. Aaron was invited by Lena Dunham to make an appearance in the show. 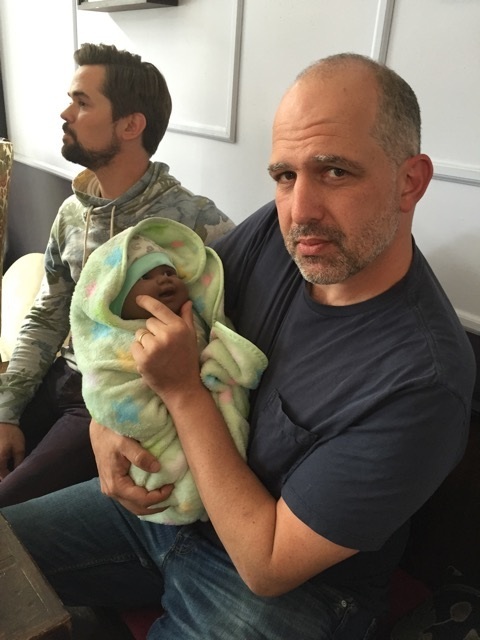 Here he is holding a fake baby next to actor Andrew Rannels. Unfortunately, his scene did not make the final cut. 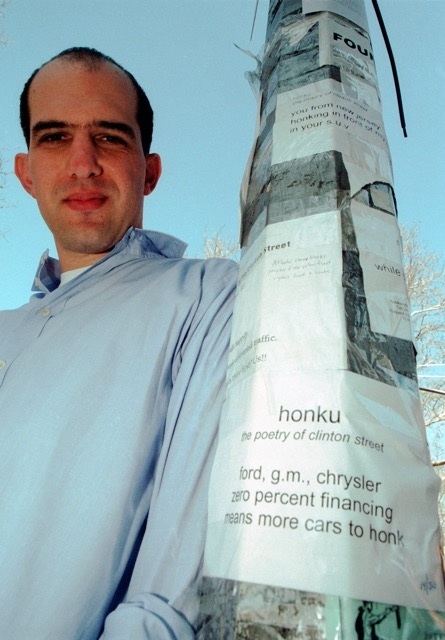 Aaron featured next to a lamp post with Honkus — including his "You from New Jersey" Honku. 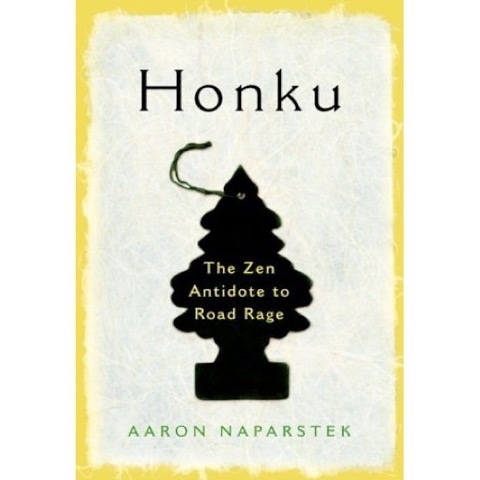 The cover of Aaron's book, "Honku: The Zen Antidote to Road Rage." A collection of some of Aaron's favorite honkus. Honku segment from PBS show, "Life360."